للمسافرين الذين يرغبون أن يعيشوا كل ما تقدمه المدينة، The Barn Accommodation هو الخيار الأمثل. يمكن من هنا للضيوف الاستمتاع بسهولة الوصول إلى كل ما تقدمه هذه المدينة النابضة بالحياة. إن سهولة الوصول من الفندق إلى المعالم السياحية الشهيرة الكثيرة في المدينة هو استثنائي بحد ذاته. يعمل The Barn Accommodation على ضمان إقامة مريحة لضيوفه من خلال خدماته الممتازة وحسن ضيافته. إن مرافق مخصصة لذوي الاحتياجات الخاصة, واي فاي في المناطق العامة, صف السيارات, خدمة الغرف, غرفة عائلية هي جزء فقط من الخدمات التي تميز The Barn Accommodation عن باقي الفنادق في المدينة. تعكس غرف الفندق البالغ عددها 7 المنتشرة في 1 طوابق جواً من الدفء والألفة.خدمات عصرية مثل تلفزيون بشاشة مسطحة, حمام إضافي, مرحاض إضافي, سجاد, بطانية كهربائية موجودة في بعض الغرف المختارة. يقدم الفندق خدمات رائعة كمثل ملعب تنس, حديقة لمساعدتك على الاسترخاء بعد نهار طويل من النشاط والتجوال في المدينة. إن The Barn Accommodation هو مكان مثالي للمسافرين الذين يتطلعون إلى الراحة والاستجمام في المدينة. Communication with the hotel is really good. When I asked questions via email, they replied within a short time and helped me solve the problem. Room is very spacious, clean and comfortable. Steakhouse is just where you must visit if you are out there. Our shower exhaust fell open on the first day of our stay, revealing the filthy interior that clearly hadn't been cleaned in awhile, if at all. The staff managed to piece it back together later on that day. Our smoke alarm also beeped intermittently, and after raising concerns that it was faulty, we were told it may just be acting up and not to worry. It ended up going off again at 5am on the morning of our last day (thankfully) rather than throughout our stay. Overall, we enjoyed our stay here but there's certainly room to improve some of the facilities. I would have liked a pod coffee machine in the room. Water temperature difficult to control in shower kept going from hot to cold. The Barn Restaurant is the best restaurant in Mount Gambier! Arguably the best accommodation and restaurant in Mount Gambier in the one place. The outside gardens are nothing but stunning, but the big highlight is the restaurant. We deliberately booked our accommodation here so that we could enjoy the food and drink without any consequences. The steaks are to die for. The rooms were also very modern and comfortable. Will be back again soon. We stayed at the Barn for 2 nights as part of our 30-day tour of Australia. We were amazed by the quality of the rooms--every amenity was top-notch and the staff was friendly and very helpful. We also had the best meal of our trip at the hotel restaurant, which deserves its ranking as the #1 restaurant in the area. A wonderful experience! We stayed in the barn farmhouse. This farmhouse is located at the next street away from the rest of the barn apartments. It is quite secluded and dark when travelling at night. It would be great if staff from the apartment could on some lights or heater before our arrival. It was andmpletely dark when we were there. 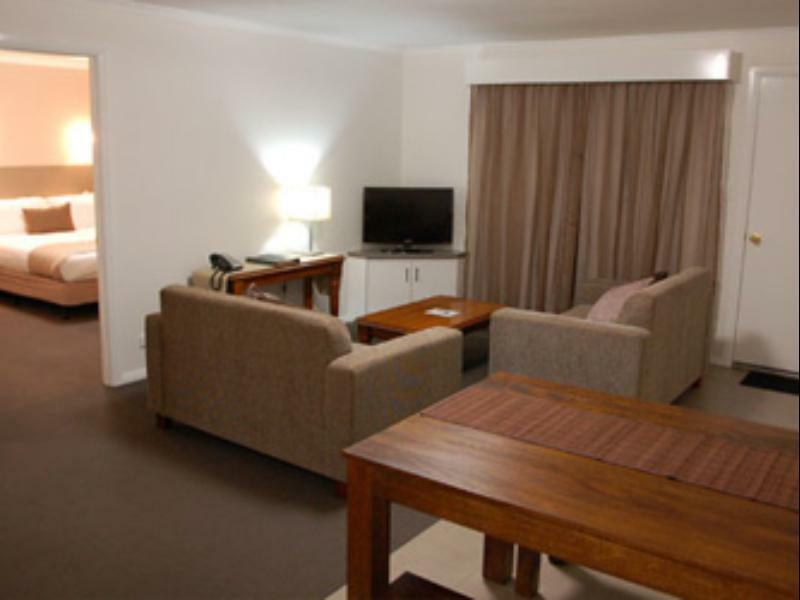 Our apartment is a four room apartment with a large living room and dining area. There is also a kitchen and a washing area. The beds also come electric heater. For this barn house there are only 2 bathrooms which can be quite a hassle when travelling with 5 adults and 2 children. There is also a reading room but the lightings in the room are simply too dark. We had our dinner at the barn streakhouse. It was average but expensive. Since the apartment is quite a drive away from the main city, there is no other alternative for dinner. Overall it was still a good stay. When I arrived hotel, I just realisedI wrongly booked my rooms one week later. the reception was so kind, she said there was another house was available. I just need to contact Agoda to amend my booking and pay the adjustment. I still could checked in that day. Under Agoda and hotel staff's help. Our trip was perfect. The hotel is clean with friendly staff. Had an issue with reservation thru this website but the staff/manager was more than willing to work with me and it was resolved without an issue. The hotel is only 10 mins away from the Blue Lake and the Sink Hole which are the major attractions in the vicinity. Also, the restaurant is rated number one in the city however we did not utilize as we had a young baby. Definitely recommend the hotel. Stayed for one night in a spa apartment. Room was spacious and clean. Spa bath functioned perfectly. The on site generator meant the spa bubbles kept flowing while SA was in a state wide black out. A bit of a delay delivering our room service wine and the mobile reception was a little shaky, but would definitely recommend and would stay again. Dinner at the on site steakhouse was amazing and highly recommended. Really nice hotel, with enormous rooms and friendly staff. The hotel is a little bit out of town, so we ate in the restaurant, which was very popular. The food was quite expensive, but there were cheaper options and our meals were delicious. If returning, I wouldn't hesitate to stay at this hotel. We stayed one night in a beautiful and spacious room with a spa bath. The room is immaculate with a lovely small patio overlooking the farm. The room is modern and clean - excellent, really! The complex is lovely - there was a farm with some cows and a small lavender patch that is worth exploring at sunset. The Barn Steakhouse is a fabulous place to have dinner - we were asked whether we wanted a table at check-in and were glad to have said yes. It was a lovely secluded location that suits a getaway. We also love the express check-out option. We stayed in the Garden View Room. This was a wonderful stopover between Adelaide and the 12 Apostles. Will definitely book again if needed. The restaurant was superb, I enjoyed my scallops entree and wagyu main but not so much dessert. They have an enormous collection of wine too. The only downside of the Barn is it's 10 mins drive from the town centre so there's nowhere to walk to and there's no 3G access, but you do get 1 hour of complimentary WiFi. A fabulous experience from the moment we arrived. Exceptionally friendly, helpful and attentive staff. 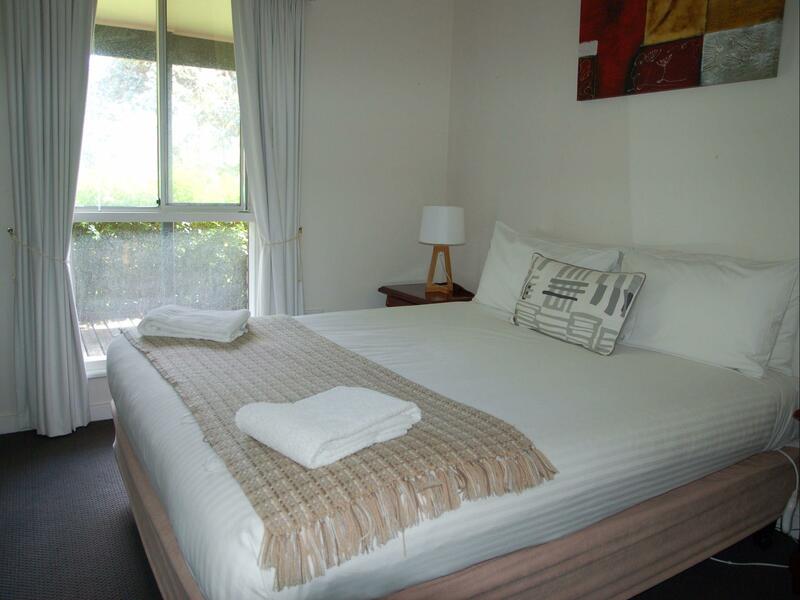 The rooms are spacious and furnished to a high standard. The restaurant was the icing on the cake with a great menu and elegant surroundings. So good we stayed an extra night. It was OK. Room size is very big. We stayed in the spa apartment. The restaurant is very good, my partner and I enjoyed the steak a lot! It's in a quiet area out side of Mt Gambier town center. Both of my partner's Telstra and my Optus are out of signal in our room. That was the only bad thing about it. 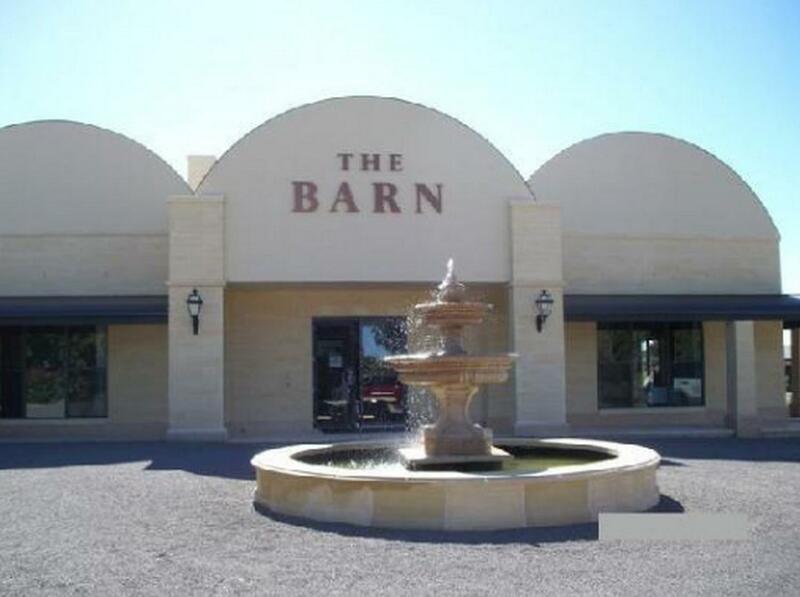 The Barn Hotel is located approx. 10min outside of the city centre of Mt Gambier. You will need a car to go there. The hotel has a very stylish lobby with a chandelier, an adjacent fine dining restaurant. The rooms are little cottages which are furnished with very stylish furniture. They offer T2 tea bags. The bead is very comfortable. Very friendly and helpful staff. 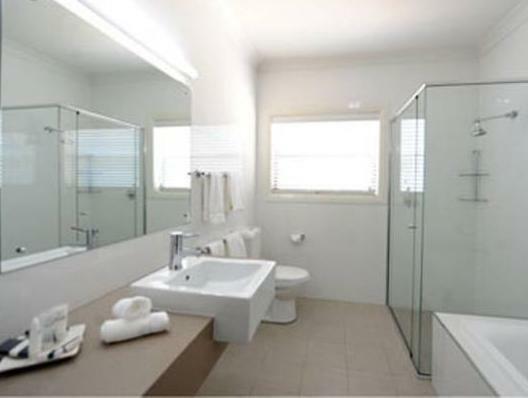 Cleanliness, comfort, room size, bathroom, restaurant, service. the barn is a good way out of town, but it is worth the trip. 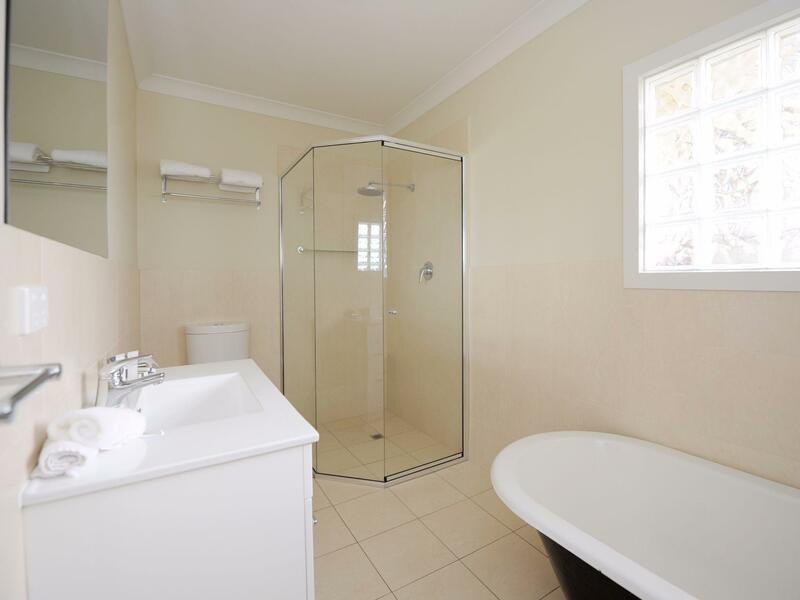 the room is big, the bed and bedding are very comfortable and the bathroom is large with a lovely powerful shower. the coin operated laundry is really handy and the fact that you have the best restaurant in town on your doorstep makes thing easy. i had the fillet steak and it was amazing! if you are heading to mount gamiber for a day or two, then this is the only place to stay. the service is excellent and i promise you will not be disappointed and you will definitely get great value for money.